58 luxury south-facing apartments. Extensive landscaping and gardens. Superior and sustainable design and finishes. Enhanced premium amenities include club lounge and rooftop terrace. Units start from ¥1.4 million. 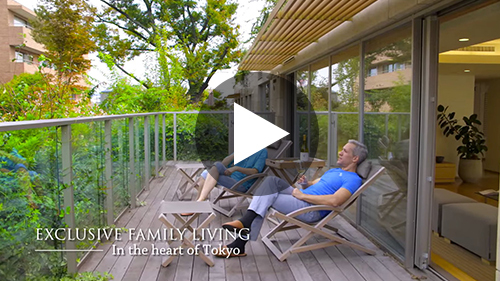 Right in the heart of Moto-Azabu, central Tokyo's most desirable international neighborhood. Azabu Gardens is nestled on a quiet tree-lined street, just minutes from international schools, parks, shopping, restaurants and public transportation to other business districts. 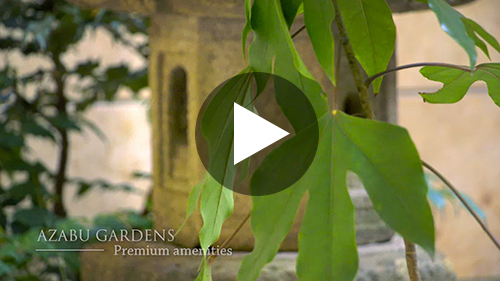 It's your family's personal oasis in the midst of one of the world's most exciting cities.